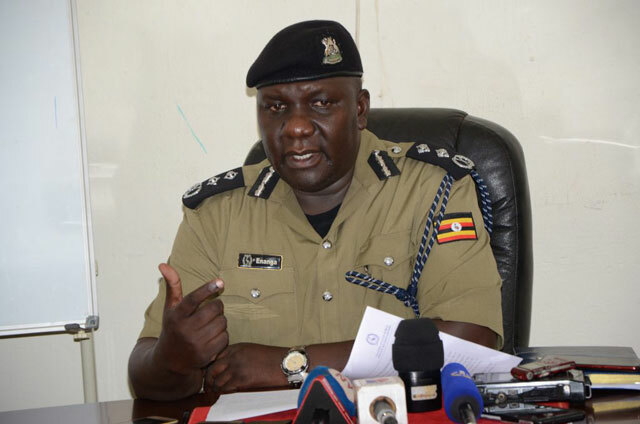 KAMPALA – Police leadership confirmed plans to summon and charge the Ugandan Ambassador to Burundi, Rt. Maj. Gen. Matayo Kyaligonza for the impunity he unleashed on a traffic policewoman. The two bodyguards have since been arrested and are currently detained at the Military Police Headquarters in Makindye, the UPDF spokesman Brig Richard Karemire has confirmed. In a press statement issued Monday, February police said Gen Kyaligonza is going to be summoned through the Foreign Affairs Ministry in respect of protocol. “As a matter of protocol, the team will through the police leadership cause for the summoning of H.E. The Ambassador Major General (rtd) Matayo Kyaligonza, through the Ministry of Internal Affairs to the Ministry of Foreign Affairs on probable charges of assault and wrongful obstruction of an officer on duty,” said part of the statement. “The Police yesterday, 24/02/2019, acknowledged apologies from its Sister Security Agency, the UPDF over the manner in which our officer, Sgt Namaganda Esther was treated by its officers while on official duty,” added the statement. Police have equally condemned the incident and praised Sgt. Namaganda for exercising restraint.